Finished this one last night: "Poppy", ACEO, 2.5x3.5 inches. 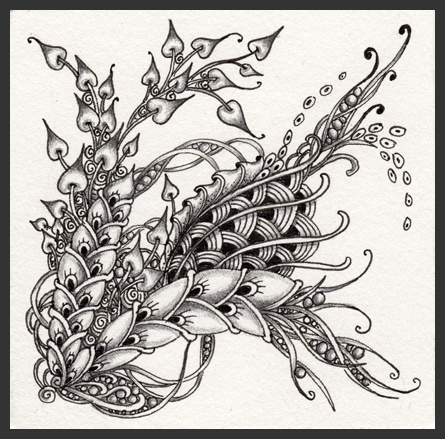 Micron Pen, graphite, Prismacolor and a touch of clear star glitter pen. I'm having too much fun with my new paper...loving using the pencil on it. 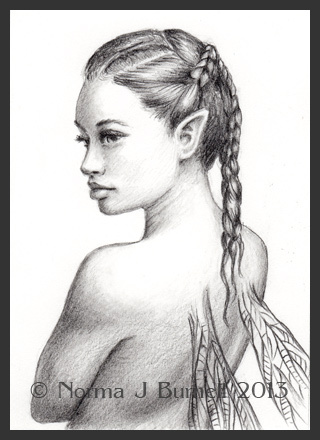 Here's another ACEO, "Rayne" is 2.5x3.5 inches in size and drawn with graphite and micron pen on Strathmore 500 Series Plate Bristol board. 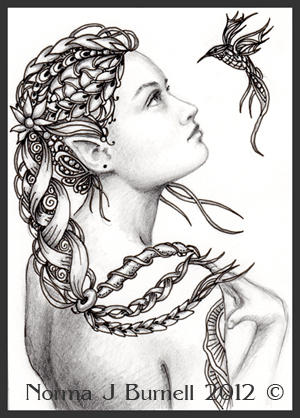 She'll be going up on Ebay tonight. 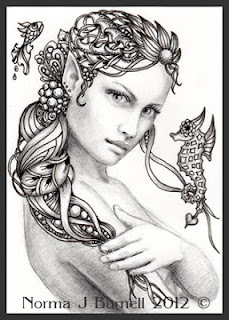 I bought some new paper, Strathmore 500 Series Plate Bristol board, it's super smooth and wonderful for pen and pencil work. 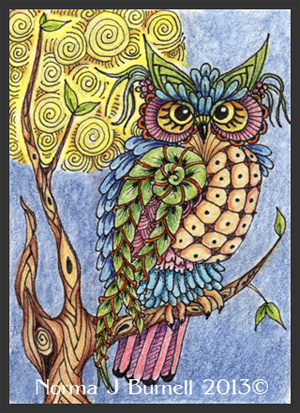 Here's 2 ACEO's I've just finished drawing - both are 2.5x3.5 inches in size. 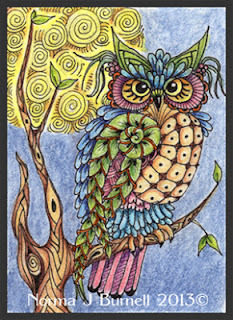 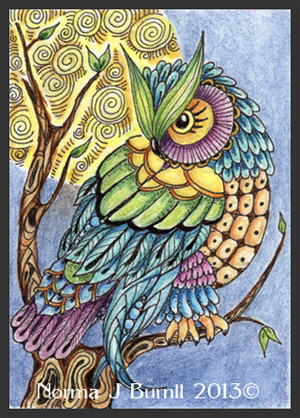 Thought I'd do a few owls - both are ACEO size, 2.5x3.5 inches, Micron Pen and Inktense ink pencils on hot pressed watercolor paper. 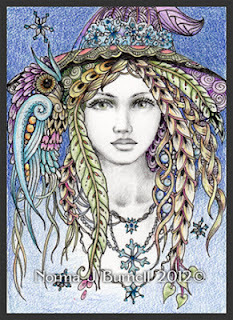 Visit http://www.nkartscouncil.org/ for more details. 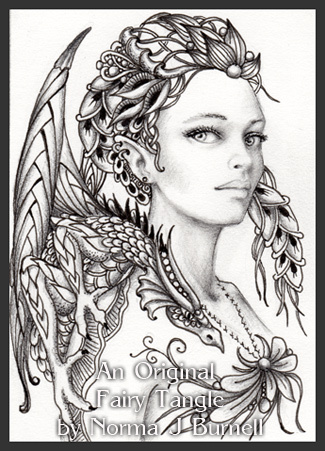 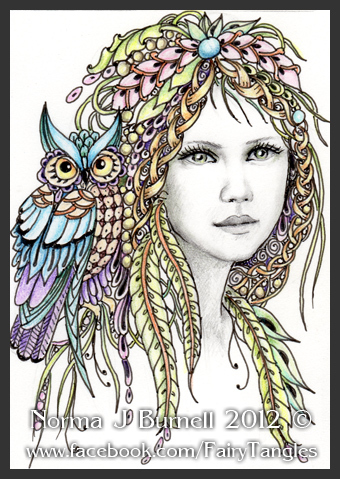 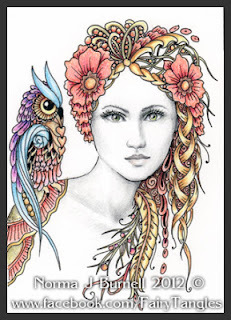 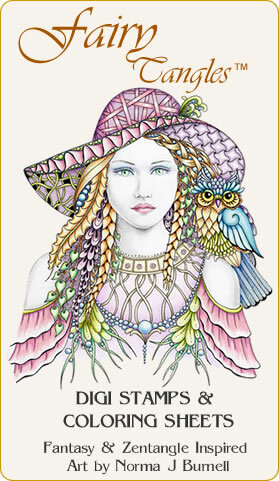 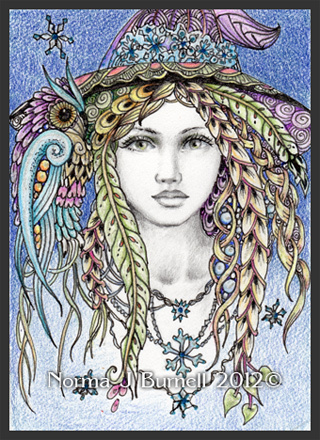 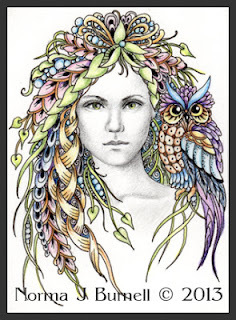 Here she is, my first Fairy-Tangle of 2013 - "Dragon Tamer", ACEO size (2.5x3.5 inches). Micron pen and graphite on bristol board...still deciding on whether or not to add a little sparkle....it is a dragon after all and they do love their bling! 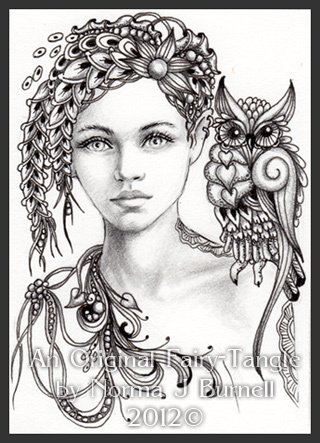 and here's the second one, "Audrey & Aden" ACEO size (2.5x3.5 inches) micron pen, graphite and clear star glitter pen on bristol board. 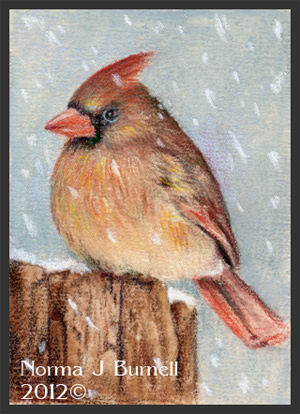 Inspired by all the snow as of late, "Female Cardinal", 2.5x3.5 inches in size, Prismacolor pencils on pastel paper.